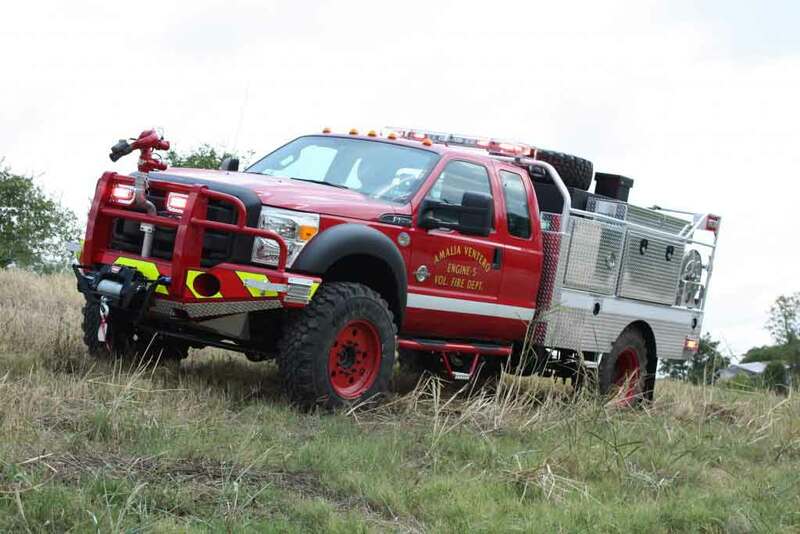 Skeeter Brush Trucks were designed in collaboration with wildland firefighters and engineers to ensure the safest and most effective brush trucks. 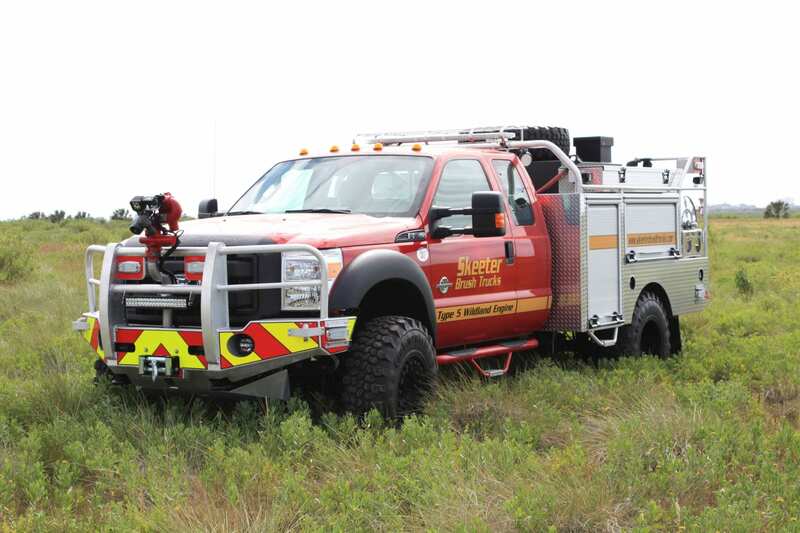 Skeeter Brush Trucks are custom wildland apparatuses that are manufactured to NWCG standards. These units are built with emphasis on protecting the chassis and body through reinforcements and armor, allowing personnel to travel safely and fight offensively while minimizing manpower. At Fire & Safety Services, we can sell Skeeter Brush Trucks to the state of New Jersey, and we’re the authorized service center for the state. We can also do service for direct sales that fall outside of our territory if they do not have a local organization. At Fire & Safety Services, we always want our customers to have the best unit for the job. 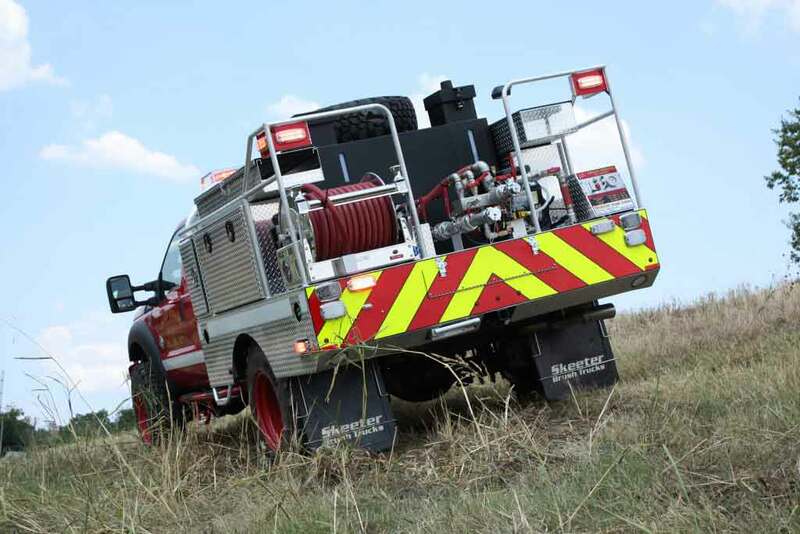 Skeeter Brush Trucks are designed for severe duty wildland firefighting, with a TIG welded aluminum substructure. The bodies are then aluminum skinned and spring-mounted to the chassis frame to allow for strength and flexibility. These units are pump tested at sea level to ensure reliable performance and are NFPA flex tested in all attitudes. Interested in learning more about Skeeter Trucks? Contact us to discuss! Let us Help you Decide which Skeeter Brush Truck is Best For you! These flat-bed units increase body options by offering custom body compartments on both sides and to the rear of the apparatus. The bodies of these units are built using high-strength, light-weight aluminum, and can provide double the compartment space of commercial bodies. 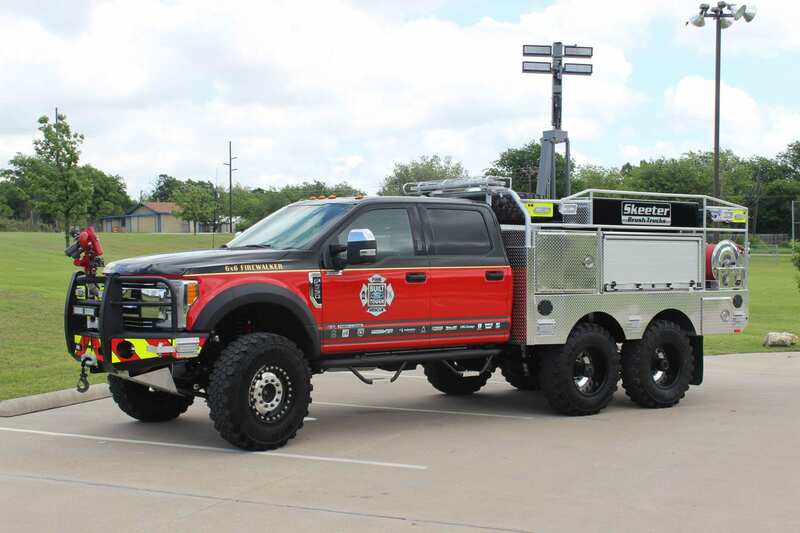 Additionally, these units are engineered for severe duty wildland firefighting with larger frame rails, larger cross members welded together, and chassis that are spring-mounted to the frame. The step-side units offer an elevated advantage when attacking fast-moving fires. The step-side cubicles can be equipped with top-mount pump controls, ground and scene lighting, whip lines, cameras, or additional storage. These units allow personnel on each side of the apparatus, allowing for better visibility and mobility. Skeeter Step-Side units have a 24” walkway with side-to-side access and swing-in safety lock gates that are constructed with 1” aluminum tubing. These apparatuses are available on most commercial chassis. The rescue-side units maximize compartment space by offering two additional vertical compartments, and an optional transverse storage unit is customizable for stokes basket, long tools, or cross-lays and slide-outs. This can increase body compartment storage by up to 50 cubic feet. Two body compartments are added to the front of the body just behind the headache rack on each side of the apparatus, and each compartment is lined with turtle tile and includes a fixed shelf. The newest addition to the Skeeter Brush Truck lineup is the 6×6 Firewalker, which is engineered for extreme off-road service. A second rear axle and Skeeter All-Terrain Package deliver a unit capable of hauling more water and equipment on a smaller chassis. 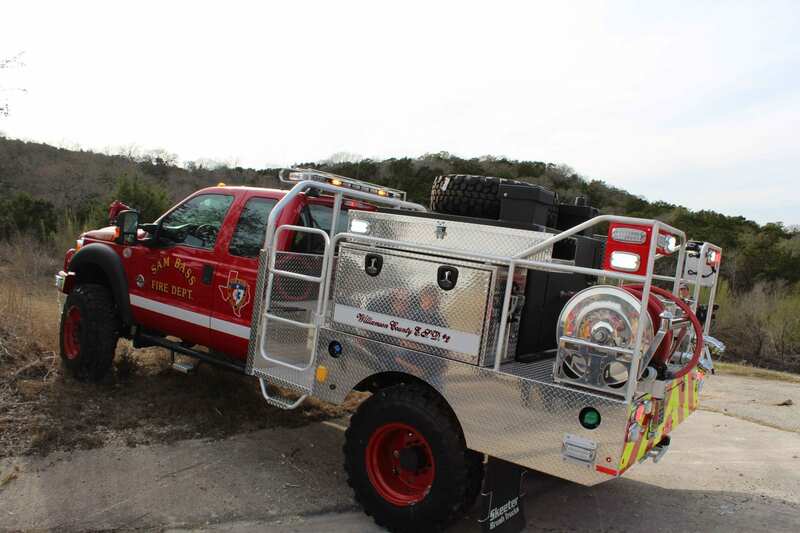 The 6×6 Firewalker increases body options and offers custom body compartments to both sides and the rear, as well as increases the water tank size to 600 gallons. The 138” body includes 6” mainframes and a multi-point spring-mounted system that is engineered for severe duty wildland firefighting. The Skeeter Skid Unit can be built ot meet your department’s needs; it can be customized to your truck bed/body and built to your specifications. This unit is available with low pressure and high pressure water systems and can be outfitted to include a through-the-pump foam system. 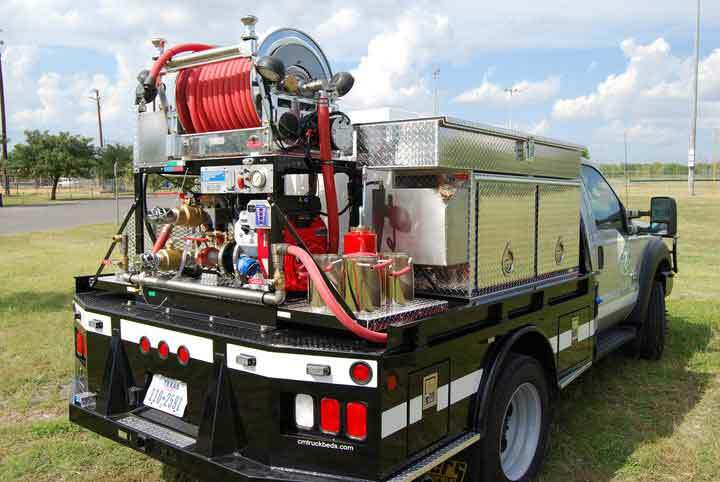 The Skid Unit can be designed with compartments for flat-bed trucks or without them to fit in any commerical truck bed. This unit features a NFPA water tank (100-400 gallons) with a lifetime warranty, aluminum hose reel with electric rewind, LED Work and Scene lighting options, and optional cross lays, hose tray, equipment tray, or drip torchs.